Lord of the Files: How GitHub Tamed Free Software (And More) was an article first published in Wired in February of 2012. It was an interesting article about a company which work I value enough to pay for the service. All this made me think about how Github develops their documentation and if we can use a similar process to a normal publishing development workflow. The idea starts with public repositories but it should work the same for private repositories and Github Enterprise repositories. All the skill requirements listed above can be handled through training and support either in-house or from Github. 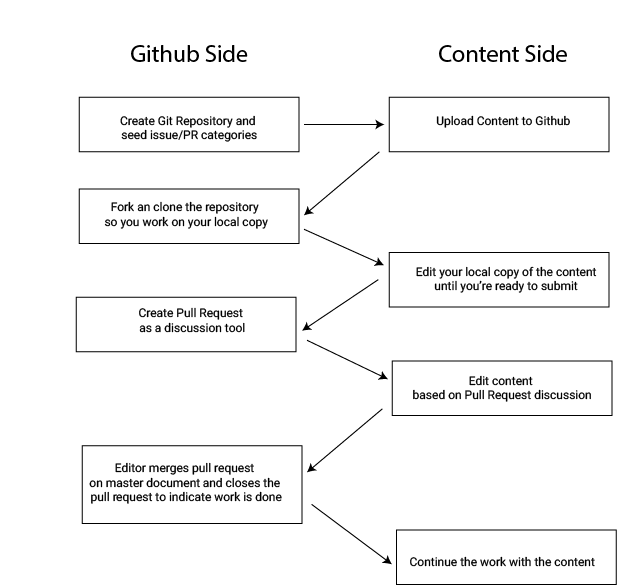 The outline below shows the workflow from both a Github and content perspectives. 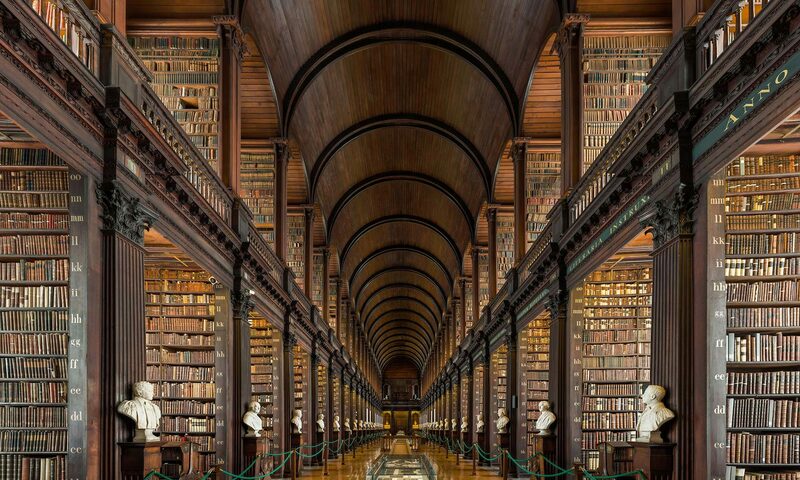 In the first stages we create the repository in Github and add the content to it. Ideally this initial process would be done by the same person. For the project to be useful each individual contributor to the project has to have his/her own copy of the project where to make changes without disrupting the master copy. Different contributors may make different changes to the same file and that’s where pull requests (discussed in more details below) come in handy. One of the advantages of this model is that you’re making changes to your local copy, not the master repository. If you are not happy with the changes and they are to extensive to undo manually you can always delete your working copy and clone yor repository again. In more extreme cases you can delete your fork of the project in Github and fork it again. This will get you a brand new copy of the project at the cost of loosing any changes you made since the fork was created. Pull requests allow users to tell each other about changes in the their copy of the repository against the repository the local copy was forked from. Comments left on the pull request itself. Additional commits/edits pushed to the pull request’s branch. The request can be left open until everyone agrees it’s completed or until the project lead closes it as complete. Depending on the the existing workflow the Github-based authoring process can be added as an additional step or hooks can be added to Github to further process the content before final publication. Github followed this technique by adding hooks that transfer the edited content to an external Ruby on Rails application that served the content. Do we need to create branches for the proposed edits? Github and most Git good practices strongly suggest the use of topic branches but I don’t see them being absolutely necessary for publishing.